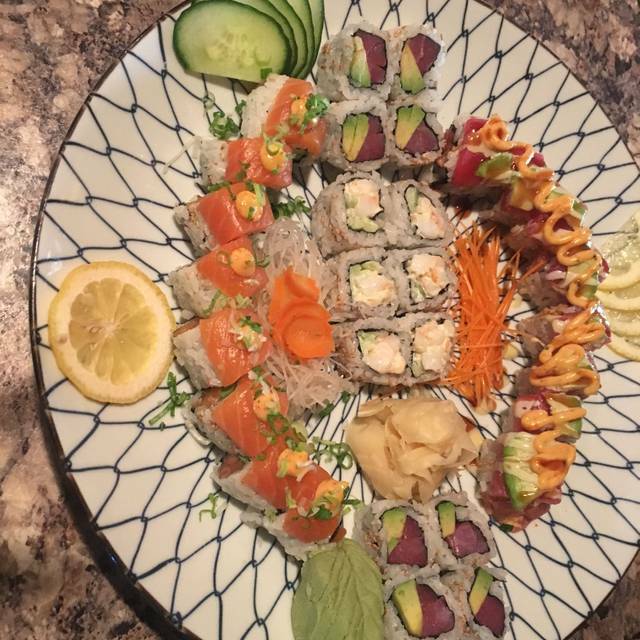 You must make reservations at least 5 minutes in advance of the time at Ron of Japan Steakhouse - Northbrook. 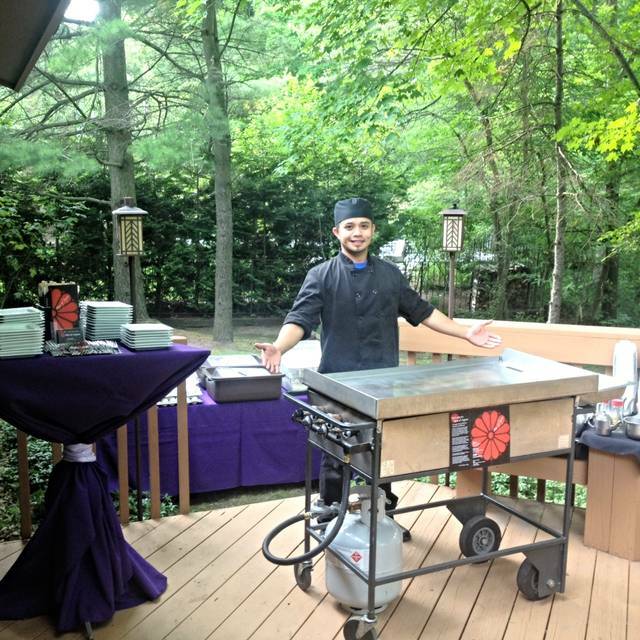 Ron of Japan host's a wide variety of events including birthdays, corporate events, wedding rehearsals, bar/bat mitzvah's, and many more special events! Call today for more details. 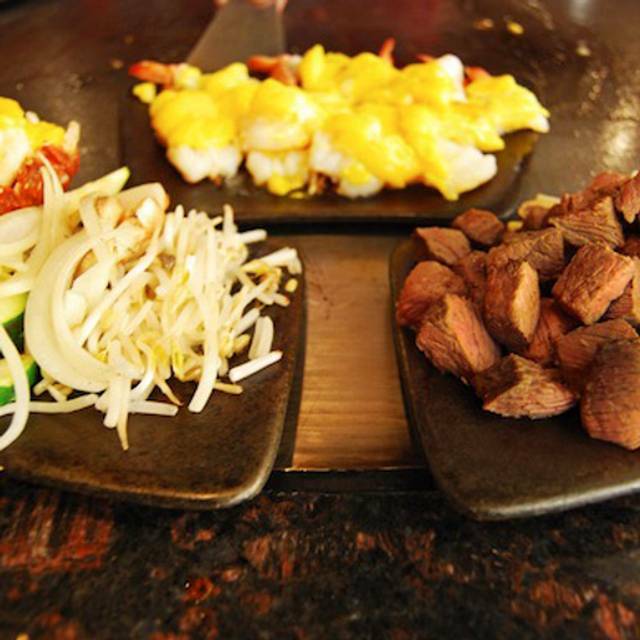 With your choice of Japanese favorites such as seafood, chicken, steak and vegetables artfully grilled on an iron plate, our phenomenal tableside cooking experience at Ron of Japan Steakhouse - Northbrook is truly an experience worth sharing. For an evening you’ll never forget - whether you’re with a group or you’re seeking a taste of something extravagant - you’re never alone. 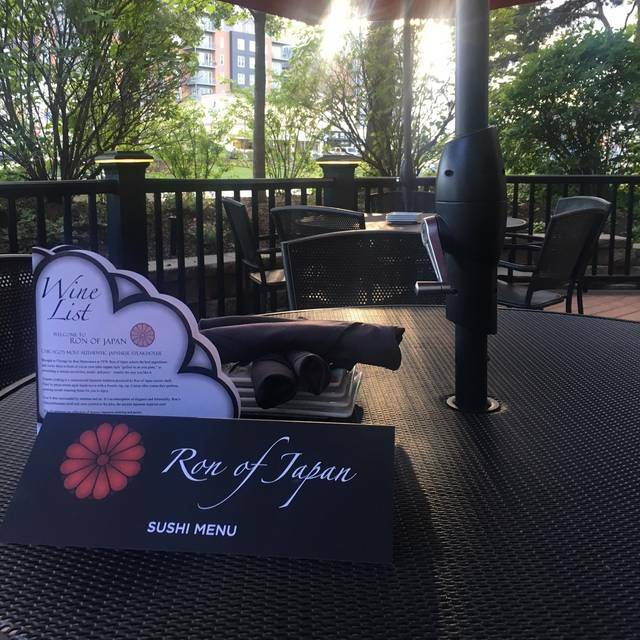 Join us at Ron of Japan to celebrate an occasion with a unifying dining experience that emphasizes the Japanese element with a uniquely familiar sense of friendship and flavor. 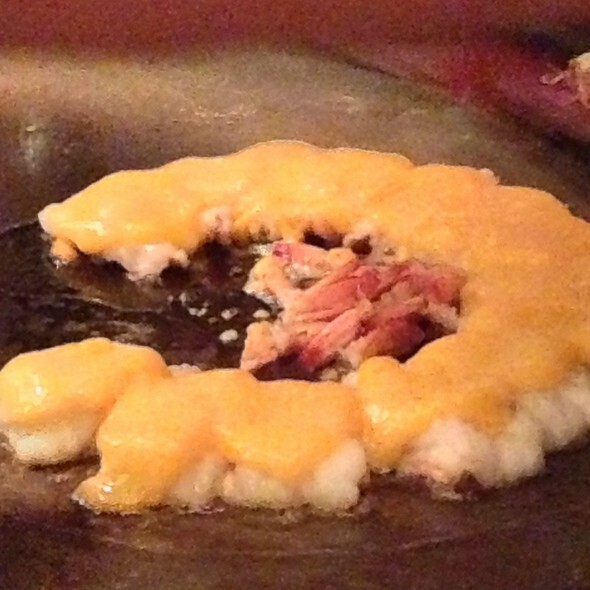 Ron of Japan is distinguished by our highly trained chefs who put their culinary eccentricities on display while they blend their classic cooking technique into our bold flavors - giving you an invigorating and delicious teppan-grilled specialty. Family and friends love the food and experience! A complete birthday disappointment, especially when considering how expensive the food is. The restaurant was very dark and instead of fish ponds and Japanese art there is cheap plastic plants and ugly aquarium decorations with no water or fish. The booth was cramped for seven adults. I beleive it's so dark because they hope you won't notice how small the shrimp are and it's so dark you won't realize how tough the steak is. Lastly, the chef was as old as Confucius, he confused my order with my friends order and he did nothing entertaining other than make a huge flame on the grill. Starting with the sticky door handles and then being squished in a tiny table with another couple and a family with young children, to then picking up the very sticky menu and waiting for no service, we will never return. We did sit at a bar and have a lovely sushi roll with a lovely sushi chef which made the evening not a total disaster. Only go there if you want germs, and have a group assembled that you will be happy being squished next to at your table. The food was fine but the service was terrible.took a long time to take our order. They scooped kids ice cream for dessert but didn't serve it. Kids were not happy with mint chocolate chip soup. We frequent both locations ( downtown and Northbrook) but prefer the Northbrook location for its size as well as atmosphere . Our server ( Brian I Believe ) was AWESOME ! Very friendly as well as attentive to our needs. That made our experience even more worth-while! My fiancé and I have been to Ron of Japan's 3 times. We were seated with children for the 1st two times, which was surprising, but turned out not to be an issue. This last time, we had a fun table of adults; the food was awesome as always; and the service was wonderful. Looking forward to our next meal at Ron of Japan's at Northbrook. I hadn't been to this Ron of Japan since the mid 1980’s and it has changed a great deal. It used to be quieter and more elegant. Now it is extremely loud and very casual. The food is still pretty good. The food made my husband and I sick. They used so much oil in everything they make. Not good. Will never ever go back. Also, way overpriced. Haven’t been here for awhile. We were celebrating our birthdays.....had a WONDERFUL TIME!!!! Couldn’t have picked a better place. Thank you so much!!! Fried rice was so delicious and enjoyed it the next day too! Thomas was amazing to us. He fixed our food the way we wanted it. Thomas was wonderful i would highly recommend him to my friends. Dark, loud, nothing special. The reliance on "egg sauce" (read custom mayo) not healthy and not appetizing. No special effort made by cook to do anything other than cook - boring to watch. Although not bad - not great either. Rather Blah. Service and ambiance were great, especially with little kids. Food was bland, mediocre and over priced. There is always lots of great food, good friends and friendly service. And we always enjoy watching our food be cooked right in front of us. My fiancé and I were originally seated with a family with small children, which is the second time (we do not have children). I think the next time I set up reservations, I will ask to not be seated with children. However, the parents and grandparents realized the children were acting up; the situation was not getting any better and left the restaurant. We had the table to ourselves, which really resulted in personal service. We had a lovely time; our servers were great and the food was excellent. Went to Ron of Japan, as a recommendation from someone who attended years ago. Overall disappointed. The quality and taste of food was not near worth half the price of the food. The entire restaurant has this unstomachable odor, which I also left with. The food is so oily and tasteless. Egg sauce? No thanks. Tasteless extra oil. My shrimp combination entree was the same exact thing as the appetizer they served me moments earlier. Just a bigger portion of tastelsss oily shrimp. The quality of the filet was the only thing worth menu price. So many employees running around, into each other, into customers, it was chaotic. Then, we were rushed from our table almost as soon as our chef left the grill. Our buser had a clearly hard job, but was literally taking plates we were still eating off of, all while continuously dropping dishes and burning herself. Our server was nice but awkward. Unfortunately, everyone in the party of 6 agreed. I’ll never return. Just an all around bad experience. The protein needs to be seasoned with salt and pepper. No taste given only cooked in butter and sauce. Took most of it home to re- cook with basic seasonings and garlic. I frequent Ron of Japan both the Chicago and Northbrook location. This past experience was probably one of the worst. The food was no where near as good as it usually is. The wait time was 35 minutes past the reservation time. The chef prepared the food at a very slow rate. Very disappointing! Food and service perfect. Expensive but worth it for occasions. Chris our chef was amazing! We go here a lot but his food was especially delicious. Only downside was feeling crammed in the booth, but the food made it worth it. Food had no seasoning, the chef who cooked for us provide any flair to the dinner like you would expect. The food was not portioned properly since the other couple seated at our table shared a meal and received more meat than my husband and son. After saying something nothing was done. Will not go back. Our waiter was excellent. Everything was fantastic! The food was unbelievably amazing, the family that we sat with were great company! 12 out of 10 times wpuld recommend. Good food but service tonight was lacking. Did not flame the food. Waiter slow and did not offer dessert with Crown dinners I had to remind him we were to get desert. Lupe is the best chef. And we had the best server, male, 20s, short hair, about 6 foot. Been going to Ron of Japan for years. Usually on special occasions and when my wife gets a taste for the egg sauce. It’s been a while since the last time we’ve been and it was definitely different. Service was different. Decor was changed up. They took out the water from under the bridges. There wasn’t as much Asian ambiance as before which felt weird and very Americanized. Service was good. Food was good. We are just used to having more of an Asian feel when we visit. And we definitely did not get that this time around. Food was extremely oily and extremely expensive considering. Didn’t enjoy sitting with a group of college kids already at the table. Delicious! A special evening shared with a first-timer who will now be a repeat customer. Always a favorite for me. Service was poor. Waited at least an hour after being seated drinks and everything else. I know I forgot my leftovers but literally was gone maybe 10 minutes and they threw the whole thing out when I went back to get it. Spent over 200$ and was treated poorly also every employee was waiting in the next room sitting down looking at us while we ate. The cook made terrible comments all night saying we were a tough crowd. Also flipped food on one of the people sitting across from us. I will never go back that's for sure. For the money spent this should have been a way better experience and I still can't believe they threw away our food in 10 minutes knowing maybe we would realize and come back for it. Terrible experience, made reservations and when we got there we were told they were super busy and we would have to wait 10 minutes, after 10 minutes went by, they still didn’t have a table, ended up wait g 40 mins. Our Chef, was no fun, didn’t talk, very boring. I was expecting more! Service at the table was excellent but bar service was not. The bartender was overworked, there was no cocktail server in the bar area and the tables were not cleaned between guests. Food is good but note it’s a throwback - this is not a foodie restaurant. We had a great time with our daughter and the other people at the table. Delicious restaurant! I have been coming here for a couple of years and I am never disappointed. Nothing special. We love Benihana and thought this would be a fun alternative. Food wasn’t as good and the experience was far less enjoyable. Worth a try, but we wouldn’t return. Great food and overall experience!